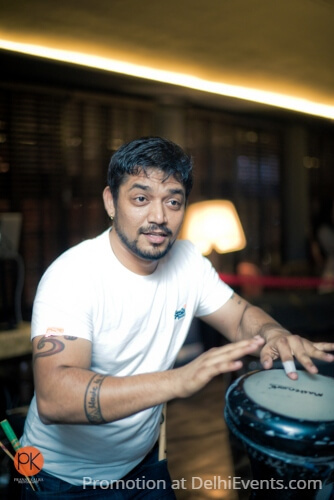 Hiten Panwar takes you through various instruments like the Dhol, Tabla and Drums and his rendition of the same. A super hit among the crowds and a must not miss. Grandson of renowned Kathak exponent Late Pt. Guru Sohan Lal of Jaipur Gharana, Hiten is one of the rare instrumentalists who is known for his versatility and ability to play a variety of percussions. Hiten represents a style that is a unique blend of classical and contemporary. The ease he distills at playing all percussions is a rare ability that is truly commendable. His command over the classical idiom and modern music has made him a name to reckon with.